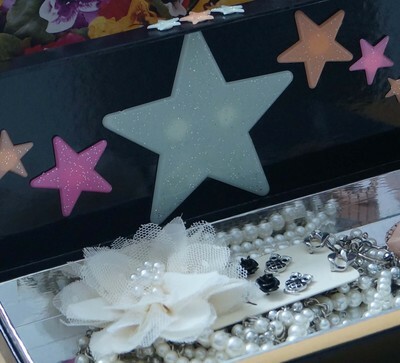 Creating this star jewellery box from unwanted materials is a fantastic way to educate children about the value of upcycling. Begin with finding a noteworthy box from junk lying around the house or when you next make a purchase. 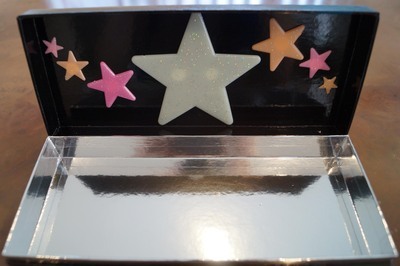 I was fortunate enough to find a box with an inside mirrored face, perfect for a jewellery box. Decide what colour the box will be; will it be plain or multi coloured? Ask the recipient (eg. your daughter) or surprise them. You will need to locate an aerosol that you like (i.e. a colour within your budget, easy to use and handle, non toxic etc.). Cans usually cost between $6 - $20 AUD. 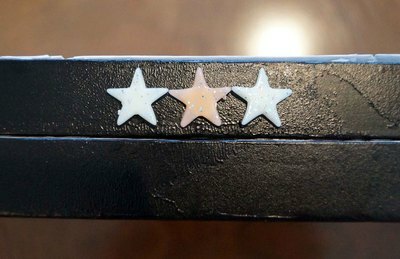 Decide what star decorations you would like (modest or glittery etc.). 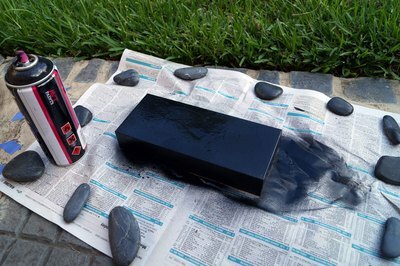 Bring the box of choice, shirt for painting, breathing mask, newspaper, weights, and spray paint into a well ventilated area (i.e. outside). 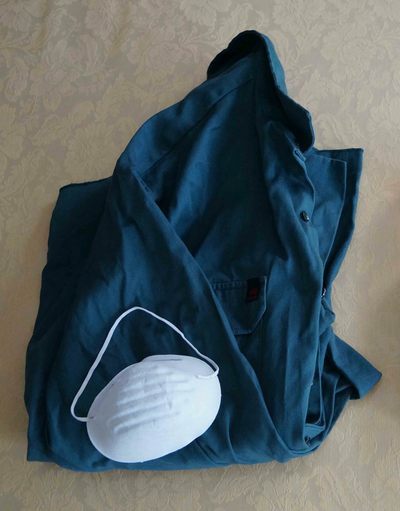 Set up your painting area and put on your shirt and mask. Any children around should also be masked as the fumes from spray painting should not be inhaled. 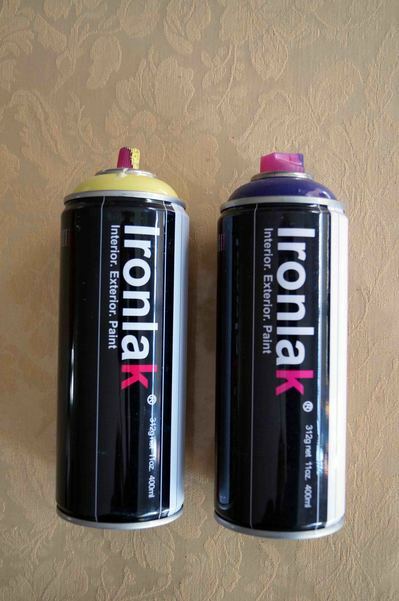 This paint lasts much longer than acrylic or poster paint, is thicker and can mask any unwanted images or text. Make sure the opening can be rescued once painted. 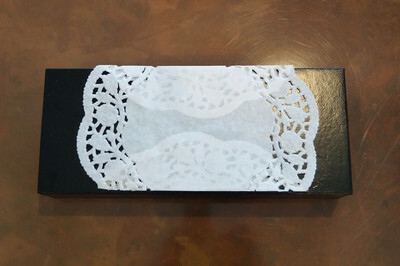 Use tape or other blocking methods to keep the box slightly ajar. Paint however you like! Even spraying works best. Make sure to get all required angles covered. Let dry for approximately 4hrs before moving to spray the underside or a missed angle. Leave overnight to air in a protected (i.e. away from kids, away from pets) dry place. Decorate the inside with a feature opposite where the jewellery will be placed. 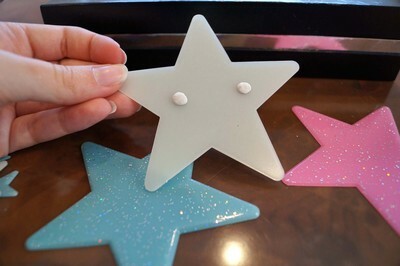 Attach adhesive to the back of decorative stars (I used blu tac but you could use glue). 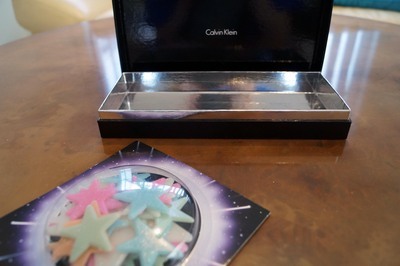 Decorate the top so that admirers envy the stellar box. 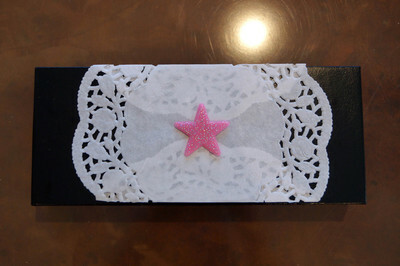 To give the box a more classic feel, I used a paper doilie as a feature texture. Fold the doilie where necessary and use tape or adhesive to keep the excess hidden underneath. 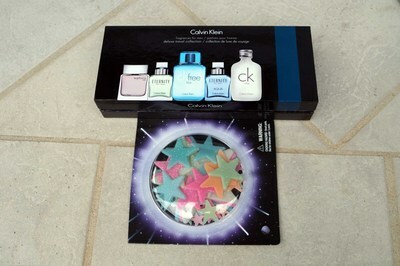 You can still decorate on top with a nice big embellishment. Pink of course for my feminine recipient. 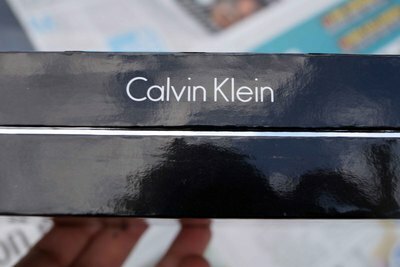 Don't forget the side of the box! 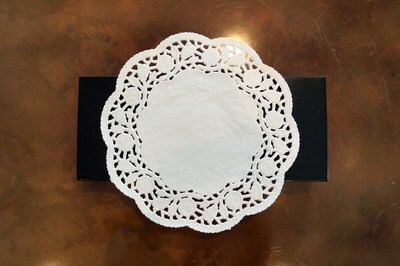 Use some of the embellishments in a pattern or as a centre feature. Add your favourite jewellery and voila! 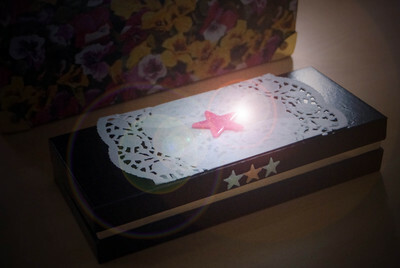 Your new upcycled jewellery box is a way to educate about the importance of realising that one person's trash is indeed another person's treasure.